The most-effective conservation strategy is direct, sustained protection of wild animal populations. This is the foundation of our work. Decades of daily direct protection have saved critically endangered mountain gorillas from extinction and stabilized their tiny population. 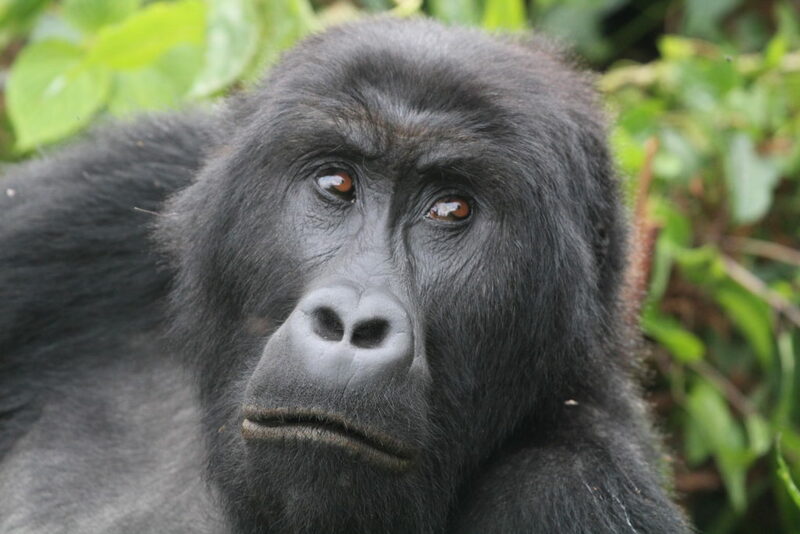 We have now expanded the same methods to help save nearby Grauer’s gorillas, which are experiencing dramatic declines. All types of gorillas are critically endangered and face serious threats to their survival, but our daily protection works! Mountain gorillas have been monitored and studied closely since Dian Fossey began her work with them in 1967, after establishing the Karisoke Research Center. She started the process of habituating them to the presence of human observers, so that she could closely observe and document their behaviors, status, movements and other important information. 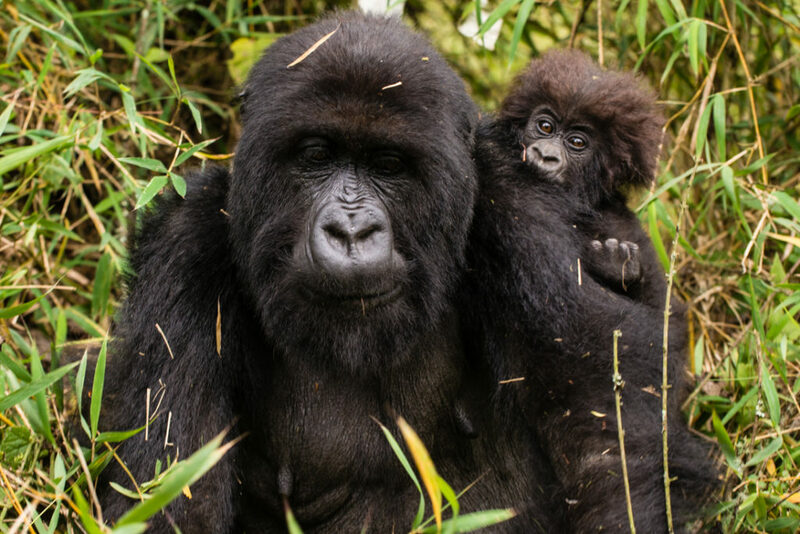 Today, Fossey Fund trackers and researchers protect and study roughly half of all the mountain gorillas in Rwanda, with the other half protected by the Rwandan national park authorities. 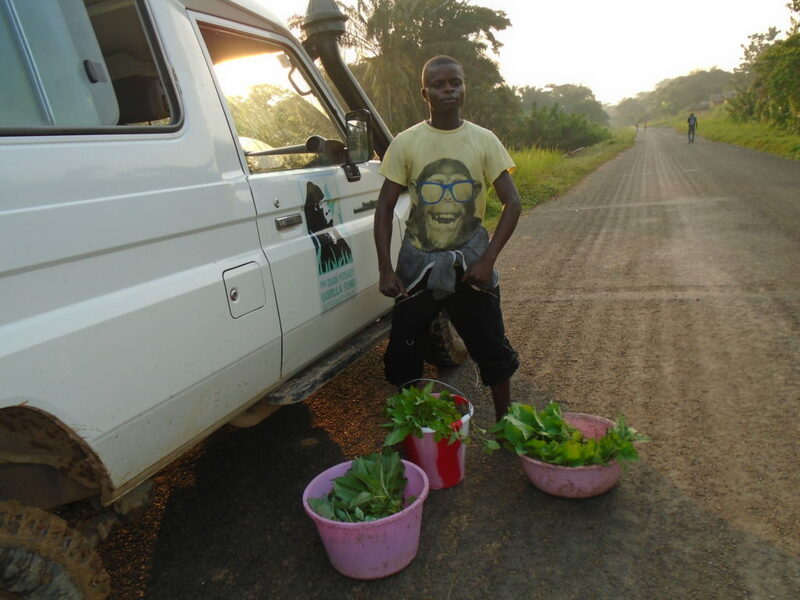 To learn more about the Karisoke Research Center, click here. Planning is now underway for the new Ellen DeGeneres campus in Rwanda. Click here for more information. 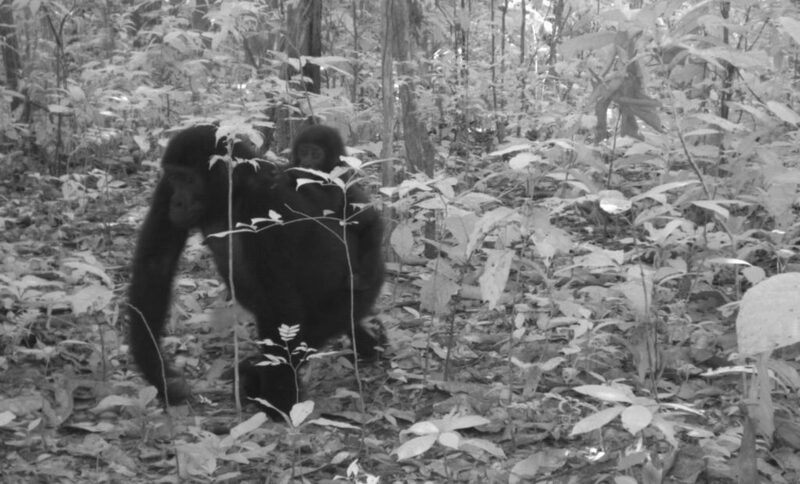 We have shown, using our 50-year database, that this type of daily presence in the forests is what is needed to protect these gorilla populations from the many threats they face, as well as to collect the information that is needed to provide the most effective conservation strategies. Tracker teams serve the role of both protection and data collection and are the key factor in saving the mountain gorilla population. 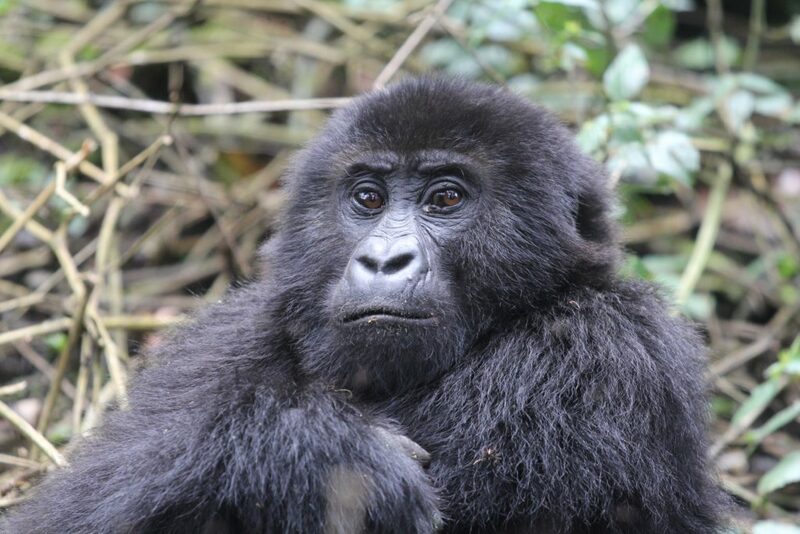 Click here for a story about saving young gorilla Fasha from a snare. 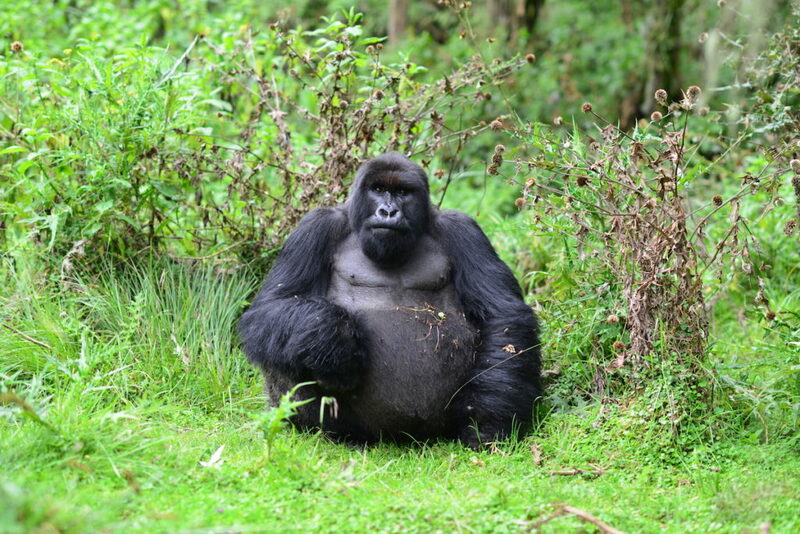 To see what we learn about gorillas from our monitoring, click here. 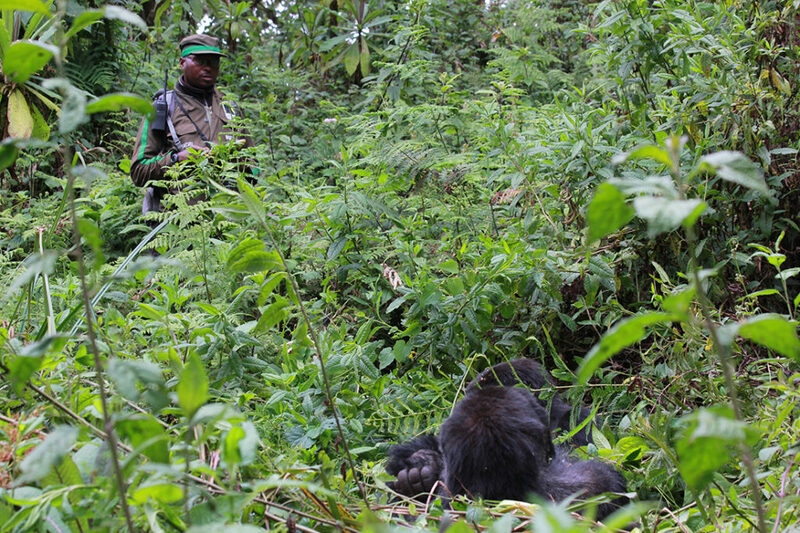 In Rwanda, the Fossey Fund also has dedicated anti-poaching teams, which patrol specific sectors of the gorilla habitat to seek and guard against illegal activities in the forest, especially poacher activity, such as snares set to entrap animals. The snares are intended for antelopes and small game animals, but they can cause serious injury or death to gorillas as well. Our anti-poaching teams also record other illegal activities in the forest, such as wood cutting or water collection. All such information is provided to park management and used to determine the best methods for protecting the forest. Unlike the mountain gorillas, most of the Grauer’s gorillas we work with in Congo have not been extensively protected or studied outside one small area in Kahuzi-Biega National Park. They are considered one of the world’s 25 most-endangered primates and an estimated 80 percent have been lost in the last 20 years. Since most Grauer’s gorillas live outside protected areas, engaging local communities in conservation efforts is essential. 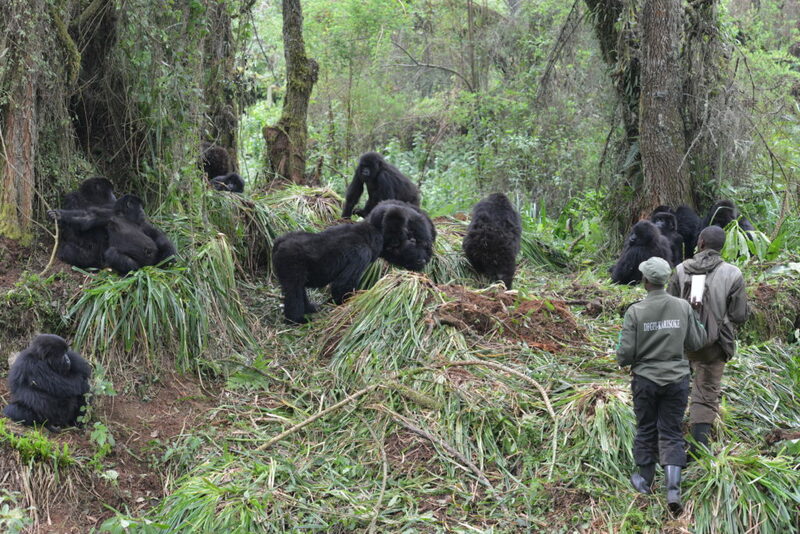 The Fossey Fund set up a research and conservation field station in the village of Nkuba at the edge of a pristine forest and conducted intensive surveys of the area to analyze the status of Grauer’s gorillas and other large mammals in the region in 2012. We now work with 11 local families to protect and area of more than 1,100 square kilometers containing an estimated 100-150 Grauer’s gorillas and many other species, including important megafauna such as chimpanzees and leopards. The Fossey Fund is now tracking and studying these Grauer’s gorillas daily, which provides critical protection as well as the data needed to develop effective conservation strategies. Our long-term goal is to double the number of Grauer’s gorillas receiving such protection over the next 3-5 years, which would cover about 10 percent of the entire remaining population. Because these gorillas are not habituated to the presence of humans and should remain unhabituated for their own safety, Fossey Fund trackers follow them at one day’s distance, using nest sites, food remains, footprints and other methods to detect their presence, numbers, travel paths, diets and other important information. A key feature of the Fossey Fund’s work in protecting gorillas is the involvement of local communities, including nearby villages, schools, governmental authorities and traditional landowners. In both Rwanda and Congo, all of our field staff are hired from local communities and provided with training and educational opportunities. We also provide educational programs for local universities, schools and communities, as well as health and livelihood programs. This multifaceted conservation model helps people and wildlife thrive together.